Recently I wrote about our decision to give up alcohol for the duration of July – with a couple of deviations. We’re three weeks in now and amazingly, are doing well. The first week was difficult – I kept wanting a drink and I have to fess up to occasionally having a small glass of wine. I put it into a tumbler so that it didn’t really count as drinking. Then there were those instances when I just wanted a swig. It was just too tempting to see the bottle in the fridge beckoning me. The first occasion we imbibed was for a dinner to celebrate July 14. You just can’t do French food without wine. Our dinner started early – in fact it was just after mid-day: Pol Roger champagne and oysters. From there a Negroni followed by a bottle of Chablis to accompany the Pheasant & pickled walnut terrine and my home pickled vegetables. Then a bottle of Pinot with the bouillabaisse and somehow in front of me was a glass of Pernod. I’m one of these people who drink whatever’s put in front of them. So I drank my Pernod and I’m sure it was topped up. I think there was a bottle of red as well. I don’t really remember the end of the evening. But next morning, did I have a headache! It was a a doozy. It went on all day, despite taking paracetamol and codeine. Not good. Then it was back to not drinking until the weekend. And again it was one of those evenings where the booze just flowed: Chablis followed by a Pinot and then a fabulous bottle of Penfold’s No 8 and then whisky. I’ve learnt to like whisky (Oban being my favourite) and find that I can put it away at the end of the night. But its not a good thing to do. Next morning didn’t happen – it was way after lunch by the time we got up from bed. A long walk was in order and 12k and two hours later I found myself looking forward to getting back to our dry July. Week three and I’m quite content to be drinking tea, soda water and more tea. And I’m wondering how long can I do this for. I suspect that it could be possible to get into a routine whereby I only consumed alcohol on the weekends. Then again, it could be just when it was a social occasion. How things can change. Ever since Sarah Wilson published her book I quit sugar, it’s been all the rage for people to go ‘sugar free’. However mostly they substitute refined processed sugar for an alternative sweetener. Nothing wrong with that and I’m all for doing away with processed food in your diet, however a lot of people are under the misapprehension that by ‘quitting’ sugar they are actually eliminating sugar from their diet. Not so. Substitutes can be just as bad as processed sugar – and for expediency, let’s refer to processed white sugar as ‘sugar’ for the rest of this post. 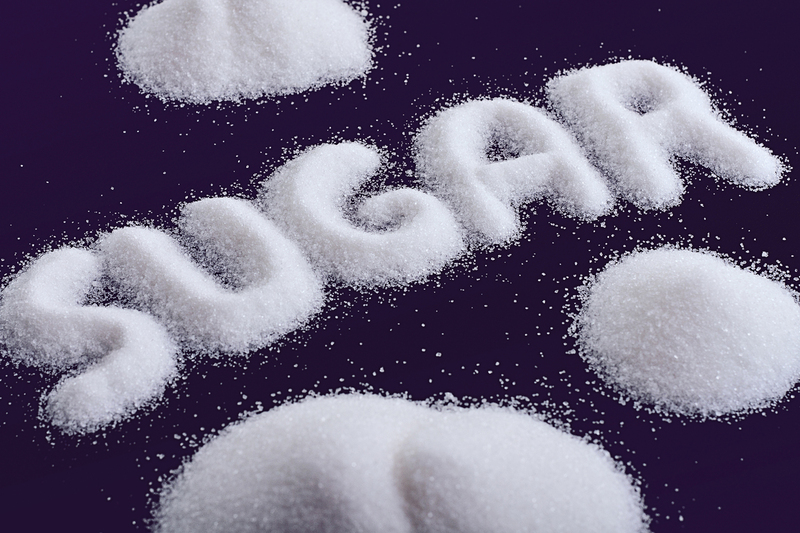 The taxonomy of sugars – fructose, sucrose, glucose – can be a minefield to navigate. I once had to go on a fairly strict cleansing regime which included not only giving up caffeine (including tea), but also alcohol (gulp), all things processed, as well as sugar. At first I thought this would be hard and certainly I had caffeine withdrawals, but to mitigate the effects of sugar withdrawal I substituted dried fruit. Ha! I thought. No problem, I can easily do without sugar: just have a few lovely fresh dates, dried mango etc. Piece of cake (or not). But when I very proudly told my naturopath that I managed without sugar and chocolate (in those days I was a big chocoholic – could eat a whole big block on my own) he laughed and pointed out that all those dried fruits had a lot of sugar in them and that even fresh fruit had sugars that I shouldn’t be eating. I was crushed. Fructose, or fruit sugar, is one of the three dietary monosaccharides, along with glucose and galactose, that are absorbed directly into the bloodstream during digestion. Fructose was discovered by French chemist Augustin-Pierre Dubrunfaut in 1847. The name “fructose” was coined in 1857 by the English chemist William Miller. Pure, dry fructose is a very sweet, white, odourless, crystalline solid and is the most water-soluble of all the sugars. 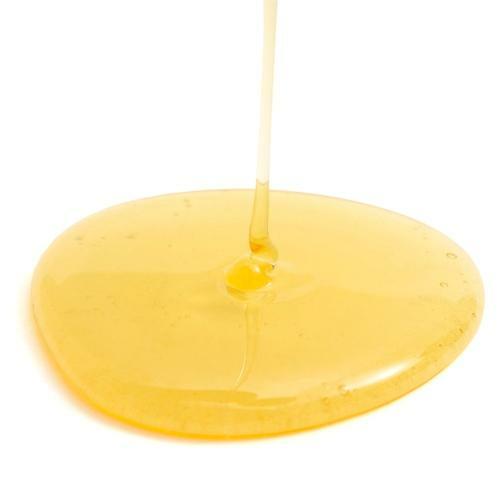 Fructose is found in honey, tree and vine fruits, flowers, berries, and most root vegetables. Commercially, fructose is frequently derived from sugar cane, sugar beets, and corn. Fructose exhibits a sweetness synergy effect when used in combination with other sweeteners. The relative sweetness of fructose blended with sucrose, aspartame, or saccharin is perceived to be greater than the sweetness calculated from individual components. 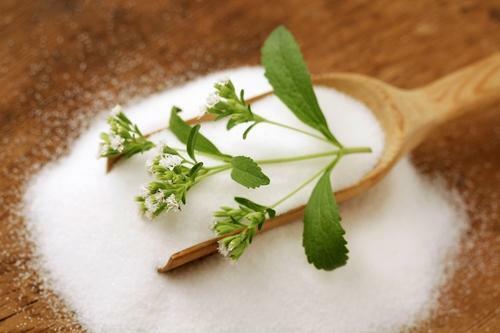 Sucrose, commonly named sugar or table sugar, is cane and beet sugar. Refined sugar is 99.9% sucrose and 390 kilocalories (or just calories) per 100 g.
Agave is the nectar derived from the leaves of the agave cactus plant, which is native to Central and South America, especially Mexico; agave is about one and a half times sweeter than sugar, so you need to add less of it to recipes. It has a low glycaemic index, but is very high in fructose – about 85 per cent, compared with sucrose which is 50 per cent fructose and 50 per cent glucose. Agave’s taste and texture are similar to honey. It doesn’t contain as many antioxidants as honey, but it contains approximately the same amount of calories. Because it contains more fructose than table sugar, it is less likely to cause a spike in blood sugar but could be more likely to reduce your metabolism and insulin sensitivity. Made by heating the sap of coconut palm flowers until the water in the sap evaporates, leaving behind a sweet granulated “sugar”. It is loaded with zinc, potassium, iron, and vitamin B. It’s 70-80 per cent sucrose, compared to refined sugar at 100 per cent. However, because sucrose is comprised of both glucose and fructose, which is tough for your body to break down and metabolise, if you want to eliminate fructose from your diet, coconut sugar is not for you. While it does contain small amounts of other nutrients found in the coconut palm, including fibre, they are only present in very small amounts. 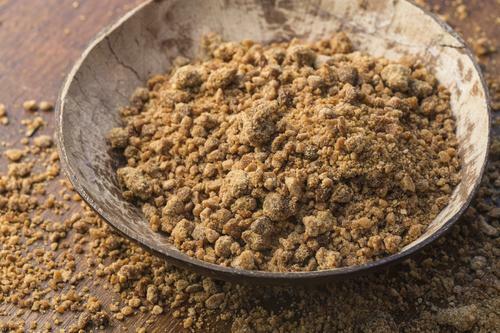 Made by drying fresh, pitted dates and crushing them into a powder, date sugar has 25 percent fewer calories than table sugar and is nearly twice as sweet (which further reduces the calories, because you’ll need to use less of it). Dates are also packed with fiber, Vitamin C, and essential minerals such as selenium, copper, and potassium. 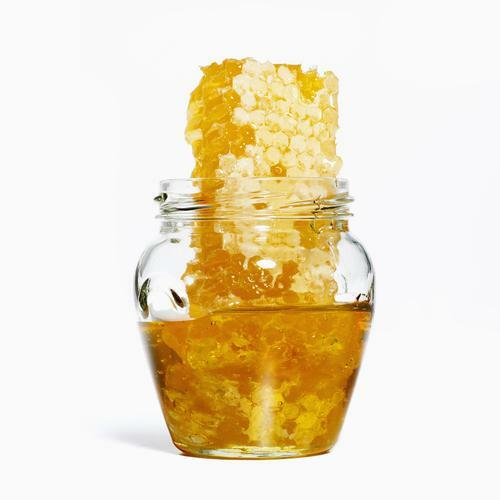 Honey gets its sweetness from the monosaccharides fructose and glucose, and has about the same relative sweetness as sugar, so can easily be substituted for sugar in many recipes. Made by boiling and concentrating the sap of maple trees to form a naturally sweet syrup, maple syrup is two-thirds sucrose, meaning it contains one-third less sucrose than refined sugar. 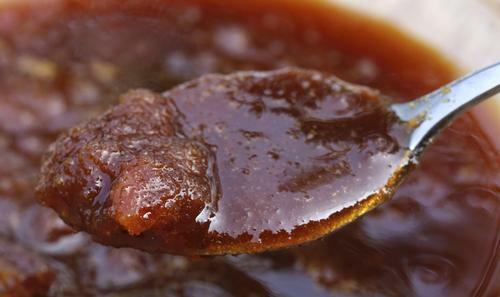 In most recipes you can substitute sugar with maple syrup, though you may need to slightly reduce other liquid amounts. Ensure that you’re buying the real thing as opposed to maple-flavoured syrup which is just flavoured refined sugar syrup. Also known as brown rice syrup, it is made by processing brown rice to form a thick, sugary syrup by which time it bears very little resemblance to brown rice. This is less refined than table sugar, low on the glycemic index, and made of slow-digesting carbs that enter your bloodstream steadily during a couple hours, versus the almost immediate uptake of table sugar. Whilst it doesn’t contain any fructose it does contain a fair amount of glucose. So, you can see that when people say they’ve given up ‘sugar’ they’ve really just substituted one sweetener for another. My advice: avoid processed, refined foods and limit your intake of substitutes. 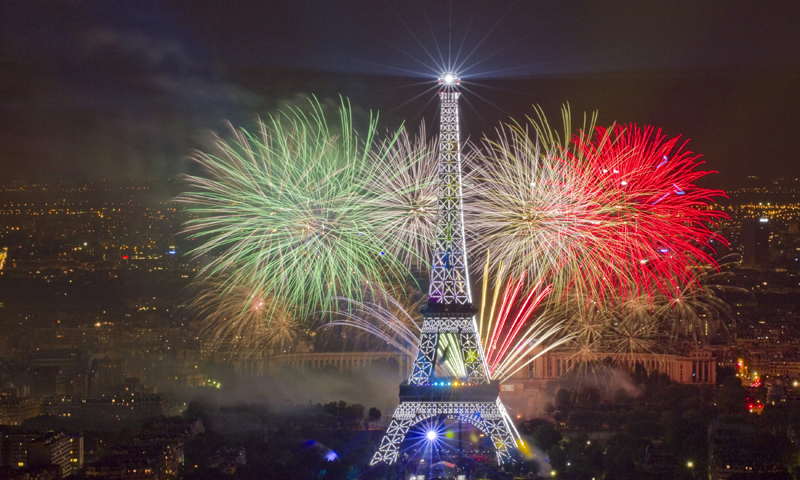 This year we decided to have a Bastille Day* dinner – simply in order to get together with friends and eat French food and drink French wine: an indulgence. What to cook? Something that is suitable for a dinner party but doesn’t require a lot of last minute attention. I decided on a bouillabaisse. Simple, but delicious. And for before and after? I have a recipe for a terrine that is probably as old as my youngest child – pheasant and pickled walnut terrine, courtesy of Two Fat Ladies – which I’ve never properly made, either because I couldn’t find fresh pheasant or pickled walnuts. This time I was able to source both, in fact I had a jar of pickled walnuts in my pantry and a pheasant was readily available from my favourite poultry shop – A.C.Butchery. And for dessert? I’m not a dessert person, I don’t have a sweet tooth; but I always feel that I should make something for guests. I decided on a classic Tarte au citron. So today has been my prep day. I went to the fish market to purchase fish and seafood for the bouillabaisse; bought ingredients for baking, some cheese and all the other things I needed. Back home I skinned my pheasant and took all the meat off it (they’re tough birds! ), chopped up the meat and set it to marinate with red vermouth. Next I put the fish heads and bones into a pot to make stock and thought I may as well use the pheasant carcass to make a stock. It went into the oven to roast first (in order to make a richer stock). I also decided to make some pickles to go with the terrine. I’d bought some little Dutch carrots, baby turnips and tiny little radishes. A quick pickle which will be ready tomorrow. Then to the pastry for the tart. I came across an interesting recipe that is probably the easiest and fastest I’ve ever seen (courtesy of David Lebovitz): you place butter, oil, sugar, water and a pinch of salt into a bowl in the oven (210 degrees) and leave in for 15 minutes until the butter has melted and there’s a slight brown foam around the edges. Take the bowl out, add flour and stir. For less than a minute! Its that simple. And then line the flan shell with the pastry and bake it in the oven for 15 minutes. The texture of the pastry is very buttery. It was extremely thin which meant it tended to crack but David provides a neat trick: leave aside a small amount of dough to smooth over the cracks with. Works a treat. All I have to do tomorrow is make the terrine, bouillabaisse and the rouille, mix the filling for the tart and bake it, et voilá! Dinner is ready. Its going to be a rather early dinner so that we can get through it all – I think I’ve rather over-catered. We won’t be storming the Bastille. cheese (a comte and a St Siméon, which is a rich creamy cow’s milk cheese. I’ve been warned that its very, very runny – yum) with dried muscatels, pear and walnuts. So to all francophiles: bon appetit! Now that I’m not drinking wine or other alcohol, I find that I can fit in that much needed protein shake after a gym session. Protein drinks are the go if you work out. They help build lean muscle and supposedly prevent you from putting on fat. How does that work? 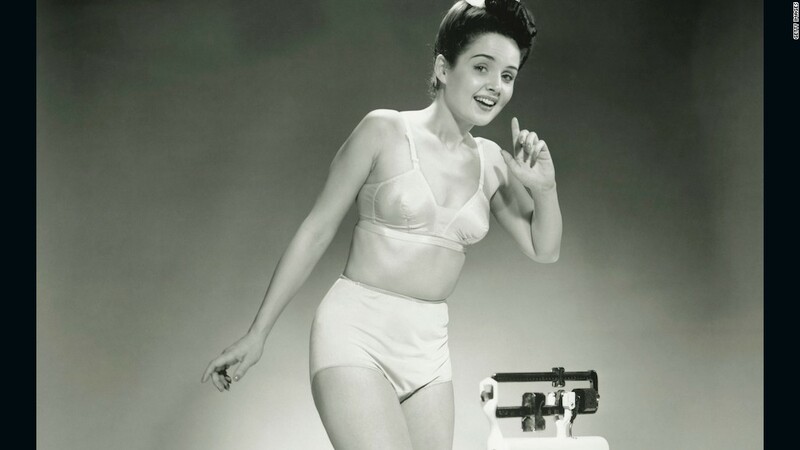 To my way of thinking it’s consuming extra calories, but then I come from the days when dieting was all about calorie control. When I was in high school, salads were all the rage, though way back then they were pretty ordinary: lettuce, cucumber, tomato, celery, carrot, cheese. Maybe some beetroot if you were adventurous (as in the kind that comes out of a tin). Later on there were all kinds of diet fads: the Grapefruit Diet – also known as the Hollywood Diet – based on the claim that grapefruit has a fat-burning enzyme and so helps burn body fat when eaten with foods high in dietary fat. The Grapefruit Diet is a low carb diet and the idea is to eat half a grapefruit with each meal. You can imagine how boring this would become. After that came the Pritikin Diet which was actually a “Program for Diet and Exercise”. It stipulated the need to get plenty of daily exercise, including at least 30 minutes of aerobic exercise like brisk walking, weight training two to three times weekly, and stretching, optimally every day. I adopted this for a couple of years and found it quite satisfying. Mind you, I didn’t have a weight issue, it was just one of those things that girls/women grew up with. Strange, but true. The Pritikiin diet is low in fat (only 10% of total daily calories) and high in fibre and carbs. The focus is on avoiding refined sugars, salt, and refined grains as well as processed meats, foods high in and those made with trans fat, and high-cholesterol foods like eggs. A fairly sensible diet for the times though I do remember making a particularly disgusting zucchini & carrot loaf with sultanas etc. Without eggs, baking was difficult. The texture was spongy, but not in a good way – more like rubber. And of course it wasn’t really sweet. I managed to eat it (toasted) but when I served it to guests they spat it out. Lesson learnt. Fruits are best eaten fresh and raw. Where possible they should be eaten alone. Carbohydrates & proteins should never be combined in the one meal. Water dilutes stomach digestive juices and should never be drunk at meals. Dairy products are considered of limited value and due to their allergenic capacity, should seldom, if ever, be eaten. Needles to say I didn’t last on this very long. I then gave up on all diets and instead became obsessed with cooking complex gourmet meals (this was the 80’s), reproducing recipes from Vogue Entertaining and Gourmet Traveller (which I still subscribe to!). I did however learn some basics that have stayed with me: low fat (but not when it comes to yoghurt, milk etc because you don’t want to sacrifice taste and flavour), nothing fried, no processed foods, no foods that have additives etc. And then more recently, low carb and having discovered I was lactose intolerant, no cheese (except for the occasional chèvre). Having indulged in too much good food and wine whilst travelling recently, I came back with a few extra kilos. No problem I thought – back to our normal eating and exercise routine and those kilos will fall off. Wrong. Instead, they kept creeping up. One morning I got on the scales and got such a fright I jumped off! Eekhh. How could that happen? I talked to my doctor who said that sadly, being menopausal could do that. Just had to ensure that I exercised. And I do. So its come down to the wine. All those calories obviously add up at the end. So now we’re on the 2:5 Fast Diet. This is essentially a two day fast diet. On two non-consecutive days your calorie consumption is restricted to 500 (for women, 600 for men) while on the other five days you can eat (and drink) whatever you like. Sounds good. And its actually do-able as long as you can not drink on those two days. That’s where it became a bit tricky for me. To not have a glass of wine while cooking? Could do without drinking with the meal but to not have a glass after? That was a big ask. I actually really like the taste of wines. It’s a sensory experience. Well, now having undertaken Dry July, I’m not only able to go without wine but – getting back to my original topic – I can fit in the freshly made juices and protein shakes. And I’m finding that I actually like the recipes available for the 5:2 Diet and adopt them on the other days, albeit not worrying about the calorie count. Today is Day 9 and I’ve got a new gym program that I like and I’m hoping that at the end of the month, I’ll be back into that little short green/violet tweed skirt I bought in Scotland. Stay tuned. 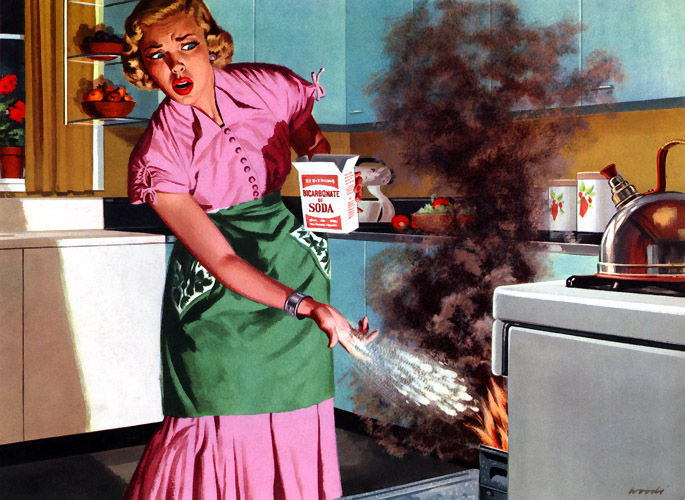 It’s not often that I have a total disaster in the kitchen; things do go wrong from time to time but they’re usually salvageable and no-one’s the wiser. I remember reading Julia Child who set out to master French cooking. Along the way she served up some doozies but her advice was: “No matter what happens in the kitchen, never apologise”. Yesterday I took this advice on board. Yesterday’s disaster was particularly unexpected . Last week I cooked a really simple fish curry – it was more a fish with Thai flavours rather than a curry. I chopped up lemongrass, coriander roots, ginger, garlic, chillies to make a spice paste which I then cooked until fragrant and the fish and some coconut milk as well as the usual flavourings of fish sauce, palm sugar, lime juice and kaffir lime leaves. I can’t really remember all the ingredients or quantities – it was one of those make it up as you go kind of dishes, but it was perfect. My daughter had leftovers for lunch the next day and texted me: “amazing fish curry!! !” I was rather chuffed. I had realised, after preparing everything for the curry that I didn’t have any rice to serve it with. What to do? I substituted white quinoa which turned out to be a much better accompaniment. So yesterday I was going to reproduce this meal. But things went terribly wrong. Instead of using quinoa grains I used flakes and it turned into something not dissimilar to gruel – very watery, gluggy, tasteless, unappetising looking substance. I really don’t know how I did that. My daughter pointed out that I used flakes instead of the grains/seeds. I thought that was what I had used last time, but evidently not. This became something of a crisis because by then the fish was well and truly cooked and I didn’t have time to cook either red quinoa or other grains. Our visitors turned up late – very late – by which time the avgolemono had curdled. Embarrassing, but I explained that it was a time-critical dish and that it still tasted good. I hoped that the fish would salvage the dinner. However, this dish was a total disaster: not only did I choose the wrong fish – mullet which tasted like mud – but one of the guests didn’t eat fish. He had an absolute aversion to fish due to his Catholic upbringing and having to eat (badly cooked) fish every Friday at boarding school. And to top it off, he didn’t like fruit! It was then that I wished the floor would just swallow me up. I’d never really understood what that expression felt like until that moment. I was absolutely mortified. I just wished for the evening to end and that I could be anywhere but sitting there at the table serving this dreadful food. Last night’s meal was rescued with a pot of rice (the advantage of cooking rice instead of another grain or quinoa is that it’s so fast to cook). Somehow I couldn’t quite replicate last week’s fabulous fish dish – I suspect I was over complicating it – but I stayed mum and didn’t say anything apart from “thank you” when the dish was praised. As for the gruel-like white quinoa that I thought could be recycled the next day – either by adding chicken stock and chilli and ginger to turn it into a kind of congee, or, adding some cinnamon and agave syrup to make it into a porridge to serve with blueberries, coconut and strawberries; on looking at it this morning, with its yellowish crust I decided the best thing to do was throw it in the bin. Sometimes, disasters just aren’t salvageable. 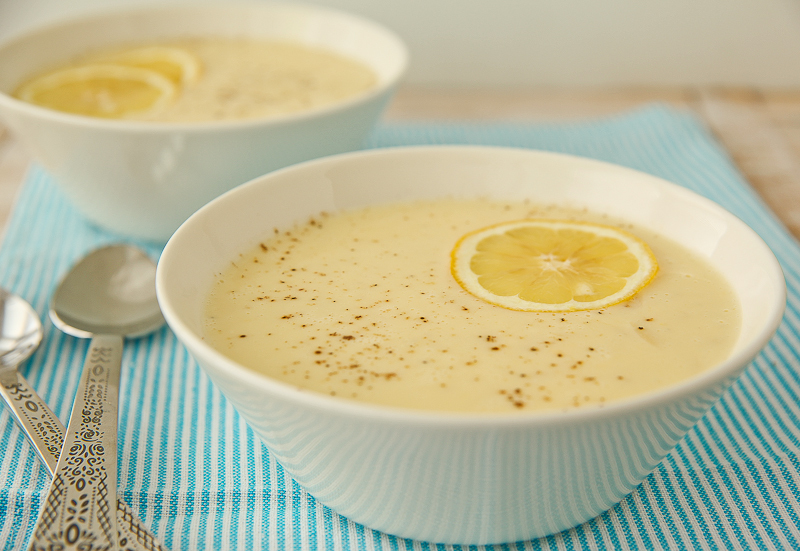 Avgolomeno is a Greek lemon rice soup made with chicken stock and usually served topped with pieces of the freshly cooked chicken. I tend to just use chicken stock and not bother about the chicken as I usually have huge quantities of chicken stock in my freezer. You can also make this using store-bought liquid chicken stock. This dish but can be a bit tricky because you need to add eggs into the hot stock, which sometimes can result in curdling. The trick is to crack the eggs into a bowl and whisk well then gradually add the lemon juice and whisk again to combine. Add a little of the warm stock and whisk quickly, add more and whisk again. By slowly adding the broth you gradually warm up the eggs so they don’t curdle. Slowly pour the egg mixture back into the pot, whilst constantly stirring and bring just below boiling point. Remove the pan from the stove and serve immediately. This is not a dish you can re-heat. Heat stock in a pan. Add the rice and season with salt and pepper. Simmer on low heat for about 20 minutes or until rice is tender. Whisk the eggs with the lemon juice in a bowl. When the rice is done, turn off the heat. Whisk one ladle full of hot stock into the eggs slowly so the eggs do not curdle. Gradually whisk in more stock until the egg mixture is heated. Then pour the egg mixture back into the pot, whisking briskly. The result should be a creamy, cloudy looking soup. Add extra salt/pepper to taste and an extra squeeze of lemon juice. Top with chopped parsley and serve with crusty bread. A day without wine? Why? My husband and I have been drinking wine for a long time. A lot of wine. We started out buying just a couple of bottles at a time and progressed to half dozens and then (because it was cheaper) dozens. We also like to have the occasional gin & tonic or vodka & tonic, and a good whisky. I have learnt to like the stuff (as long as it’s a single malt and not peaty), favourites being Oban, Dalwhinnie and MacCallan. My husband likes the peaty ones – Talisker, Laphroiag and Lagavulin. I like rich full-bodied white wines – oaked Chardonnays from Margaret River and Yarra Valley but these tend to be very expensive so I opt for old word wines: Albarino from Spain, Vermentino from Sardinia, Gruner Veltliner and Reislings from Alsace and Austria and anything from the Loire Valley, but particularly a good Chablis/Petit Chablis or Chenin Blanc (especially Vouvray – Marc Bredif is my all-time favourite). My capacity for white wines only extends to a glass or two. After that I need something richer, warmer – a nice red. This can be anything from a good pinot to a rich shiraz. I also love Nebolios and Barberas from Piedemonte, Valpolicella from Veneto, Tuscan Montepulciano and Sangiovese and Malbecs from Argentina. I do find that now more Australian winemakers are making some of these wonderful old varieties, but on the whole I find better value and choice from importers. I generally start my evening cooking with a glass of white wine (or two) and then move on to red for the meal. Funny how quickly wine disappears when you’re drinking whilst eating. Before you know it, the bottle’s empty and you don’t feel as though you’ve really tasted it. What to do? Open another. So as you can see, wine features in my life. Each and every day. I think there’s not a day goes by that we don’t have a bottle (or two) of wine. 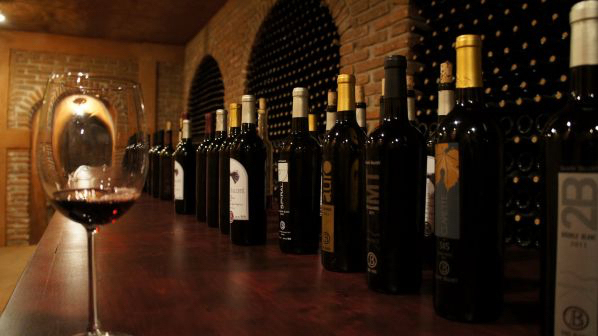 We belong to a number of wine clubs who deliver cases direct to our door. Used to be that we would organise for delivery at our workplaces – others couldn’t believe how many of cases of wine arrived and wondered what we were doing with it! Recently we’ve both put on weight and in an attempt to reverse this trend we’ve decided to go on the 2/5 diet (whereby for two days each week you consume only 500 calories). The first couple of days we did this we stuck to our specified caloric intake and didn’t have any alcohol. But it was a bit hard. What do you drink when it’s not either a gin&tonic (or similar) and wine? I can only drink so many cups of tea. Try as I might, I found it hard to not want a drink – just a small glass to savour the flavours. But having over-indulged (for various reasons/celebrations) for some time now we have decided to be dry in July. An entire month sans alcohol. I wondered if I could do it. Today its day 3 (and its a Friday!!) and I’ve had more cups of tea than I can count. Tomorrow I’ll start drinking more water (why drink water when you can drink wine??) and hopefully the next 20+ days (with a few grace days thrown in for special occasions such as Bastille Day) will pass by uneventfully and I’ll not only discover the joys of alcohol-free days, but hopefully, I’ll drop those extra kilos. Posted on July 3, 2015 July 21, 2015 Categories foodLeave a comment on Dry July – really! Starting out? What are the essentials? Over the past years I have made little books of recipes for my children and their friends when they have gone off to live on their own and fend for themselves. Knowing they have a tiny budget and equally tiny kitchens, not many resources and few ideas (and limited skills), I thought I’d help them out by putting together a list of pantry items, essential utensils and some basic recipes. Over the years, I’ve shared these with a number of people who weren’t into cooking (because they found it too daunting) but have since come to embrace the joy of cooking. Both my children are great cooks and I’m pleased to say that those friends who once didn’t even have a grater or olive oil (!!) in their kitchen are now being very experimental and preparing amazing food. good wooden spoon (better to buy one good spoon and throw it out after a year rather than a whole lot of cheap ones. two good knives – one small one and one large cook’s knife – you’ll need this for chopping things like pumpkin. Buy the best you can afford. Everyone has a preference for the kind of knives they like to handle. I like a really big heavy knife but it has to have the right weight/balance. I use Furi and although I have an entire set, I generally only use two of them. The others are specialist knives – for filleting fish etc. So my advice is to go and handle the knives and choose whichever one feels best in your hand. And don’t worry about price – they vary. In fact, if you’ve got a good Asian cooking shop nearby, go there as they have very good knives for usually a fraction of the price of the big name ones. tongs – the ones you get in the supermarket with the rubber ends are perfect for all sorts of things from grabbing pasta, turning meat, serving salad, etc. *heavy duty mortar and pestle – these are available quite inexpensively at Asian grocers and will last you a life-time. For years I relied on one of these instead of using any food processors to mix my spice pastes. Alternatively, buy a wand – even the cheap ones do a reasonable job and can last for years. a medium sized frying pan. As you get more competent/interested you’ll want a range of pans but essentially you’ll always want one small non-stick pan, one large non-stick pan and one heavy-duty deep(ish) pan. The best of these are cast iron and found in hospitality stores for a fraction of the cost in department stores. I’m still using a large cast iron pan I bought over 20 years ago. if you can, buy a wok. Again, go to an Asian kitchen shop – or even just an Asian grocery store as they generally have them – and buy a standard round bottomed wok. Oil it and put it in the oven to ‘cure’ a couple of times and then it will last you for ever. Truly. In my opinion, if you’re just starting out – that’s basically all you need. Once you’re venturing into more complex dishes, then there are things that you’ll want – see here for details. balsamic vinegar – if you don’t want to use a range of vinegars, then this is one that will do for just about anything. And now to recipes. Click here for a selection of easy recipes that can be made both cheaply and quickly with limited equipment. I’m not one for exact measurements but rather its a “go by feel” attitude, which after a few times, you’ll understand. By then you’ll be able to adapt and make things up on the fly. *this is an ideal item but if you’re just starting out and are in temporary digs, don’t bother with it. There are other ways of making do. Posted on July 1, 2015 July 3, 2015 Categories food, RecipesTags cooking tools, cookware, pantry items, Recipes, utensilsLeave a comment on Starting out? What are the essentials?